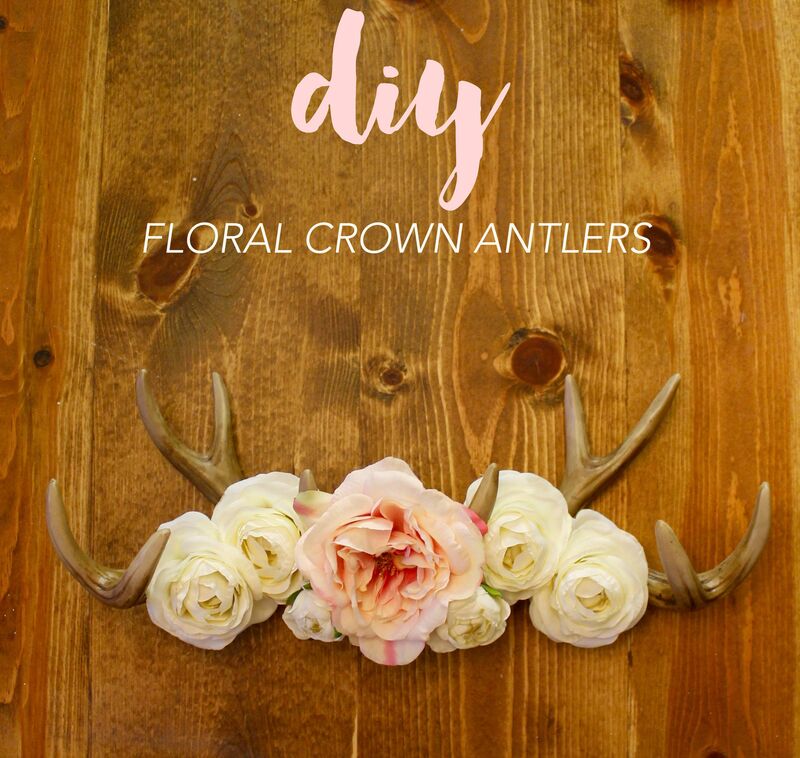 I recently joined a group of fellow Decor and DIY-loving bloggers in a Secret Santa gift exchange, organized by the sweet and talented Sara from Shabby Grace Blog. Each of the participants were given a survey to assist their “secret Santa” on selecting a gift. With the $25.00 gift limit amount, I cannot wait to see what goodies everyone purchased. Last week, my package arrived from my secret Santa. I was happy to see that it came from Heather who blogs at The Dean’s List blog. I’m glad to have gotten to know Heather better through our participation in last fall’s One Room Challenge. Look at how nicely written my name (I mean, nickname) looks on her card! 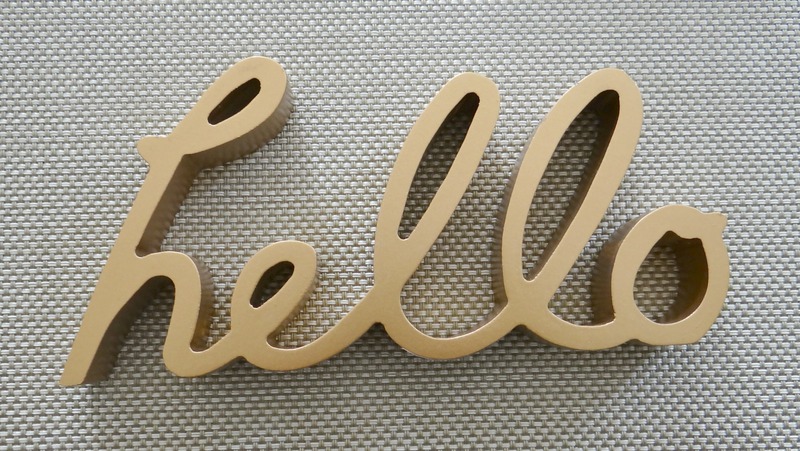 I love this wooden “hello” sign. As someone who often creates vignettes, I can see this sign being used often. 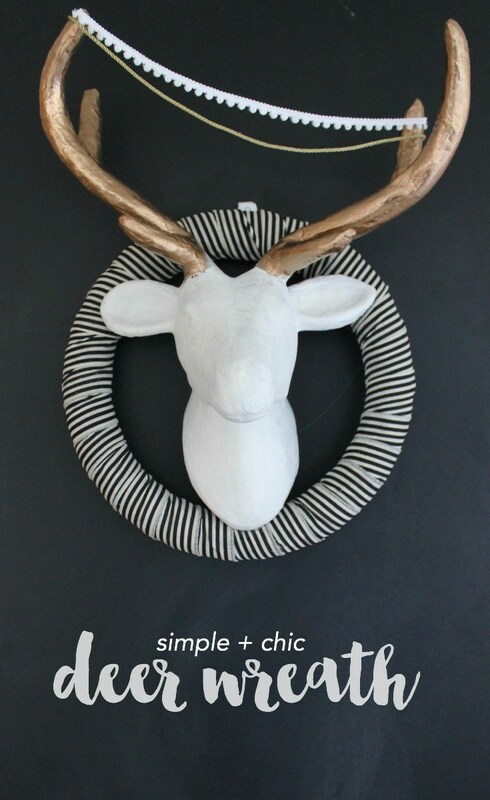 She walks over to our foyer and places the “hello” sign right above the shadow box below. She was right, that sign fits perfectly there! 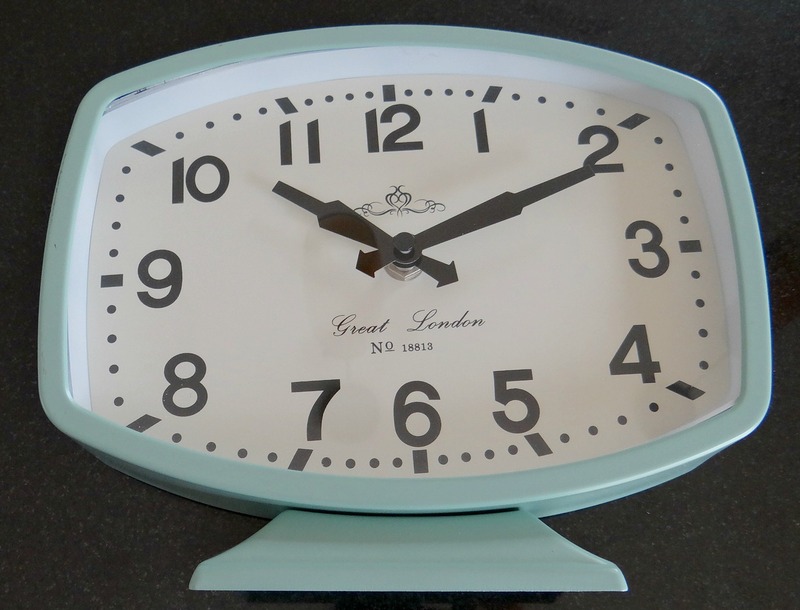 Another item that Heather purchased is this retro-looking clock. It was in the color I loved and the style totally suits my taste. 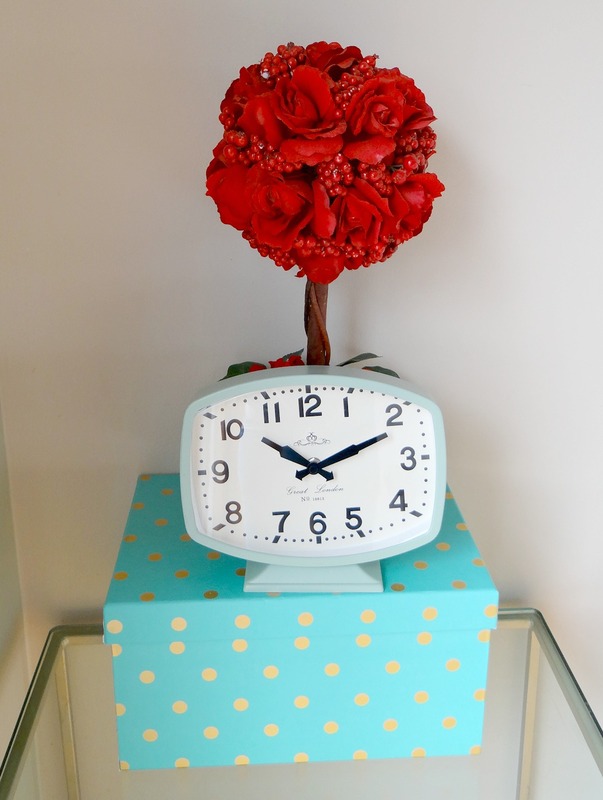 Best of all — we really do need another clock in the house. I love the size of this clock. With it being a mid-sized item, I can easily transport it anywhere in the house. 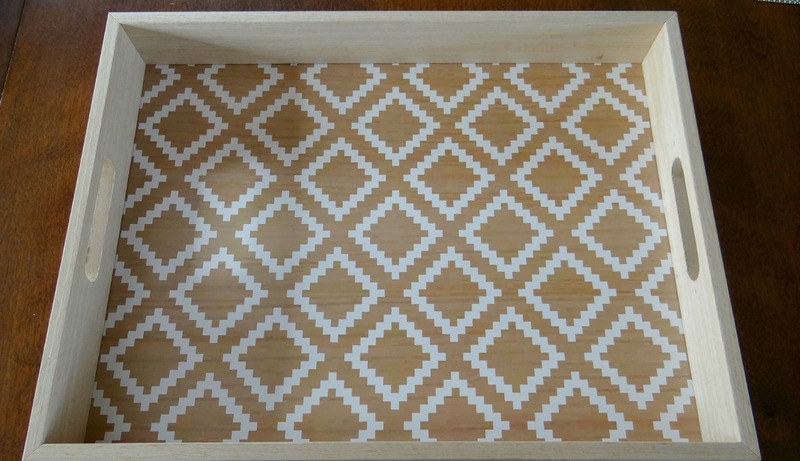 The third item in Heather’s package is this pretty serving tray. I had mentioned in my survey that I loved geometric prints. 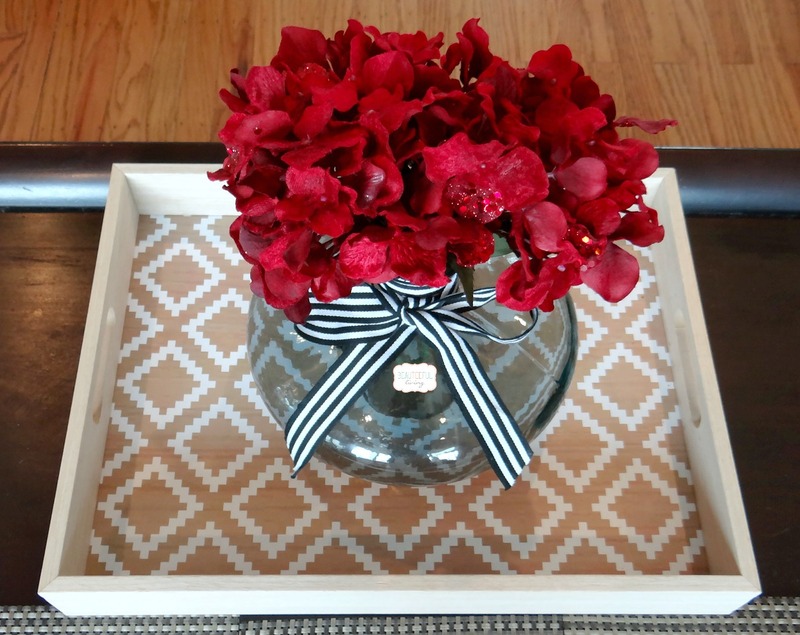 Well, Heather must’ve taken note because this tray is right up my alley. Right now, I have the tray on top of my coffee table. Since I don’t want the design to be covered, I made sure not to place magazines or books on top of the tray. Doesn’t it look cute with the vase I placed on top? Needless to say, I think Heather from the Dean’s List Blog did an incredible job shopping for me as my secret Santa. I am so grateful and touched at how thoughtful her gifts were and how she took note on the answers I gave on my survey. Thanks for stopping by, lovely readers. Wishing you all a very Merry Christmas spent with your loved ones and friends! Xoxo, Tee. These are all such lovely things! That “hello” is adorable! What a great gift! 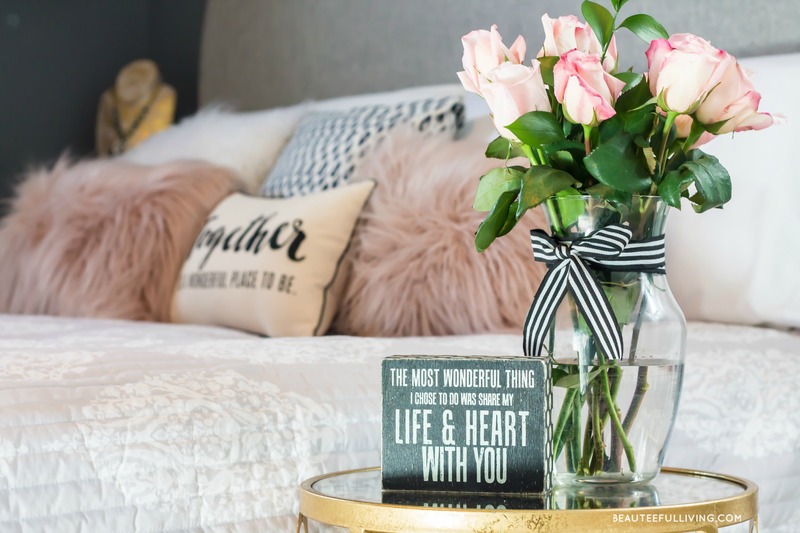 I loved this hop… and I can’t wait to see what everyone comes up with for the Thrift Flip! xo! Tee, that tray is BEAUTIFUL!!!! Love all your goodies. Happy New Year and thanks for participating! So cute. 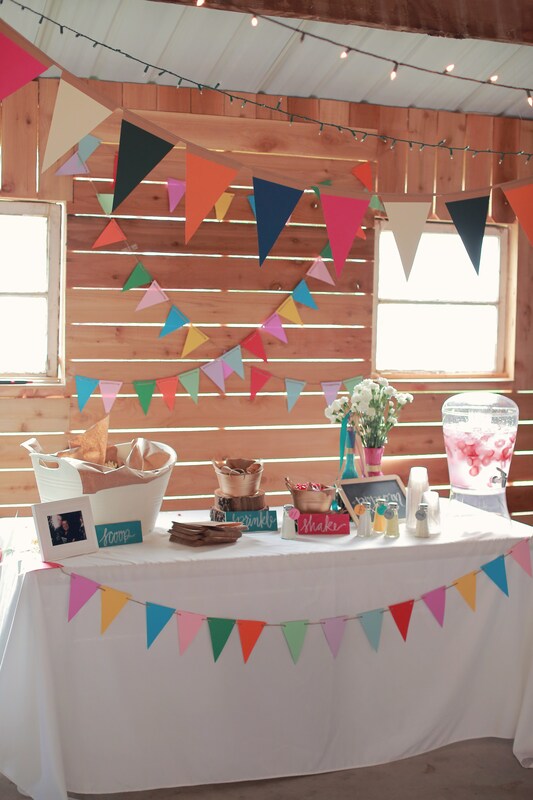 Love how you incorporated the gifts! Hoping your Christmas was full of happiness and joy. Thanks so much, Stephanie! Hope your Christmas was wonderful too! Have a wonderful New Year! I’m so thrilled that you liked your gifts! I love that the whole family got into decorating together — how fun! Hope you had a Merry Christmas, Tee! Christmas was wonderful. Hope you had a wonderful Christmas too! Happy New Year! 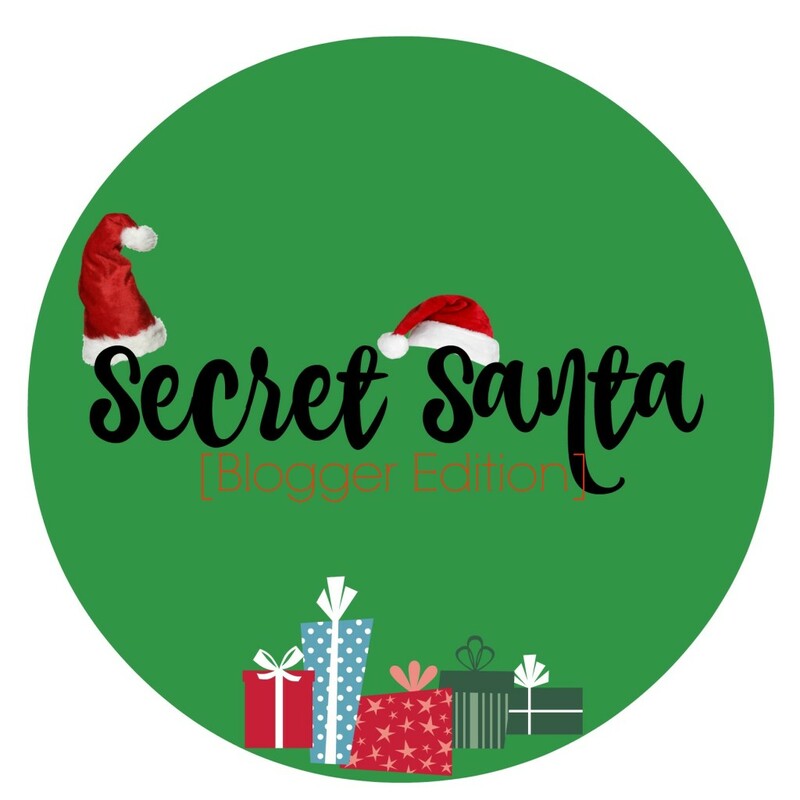 Love all the gifts, and I kept clicking away to visit the other bloggers’ pages. So fun! Thanks for sharing, Tee! Hi, Tee! Your gifts are great! I will have to check out Heather’s blog! It looks terrific! I love everything you received Tee! 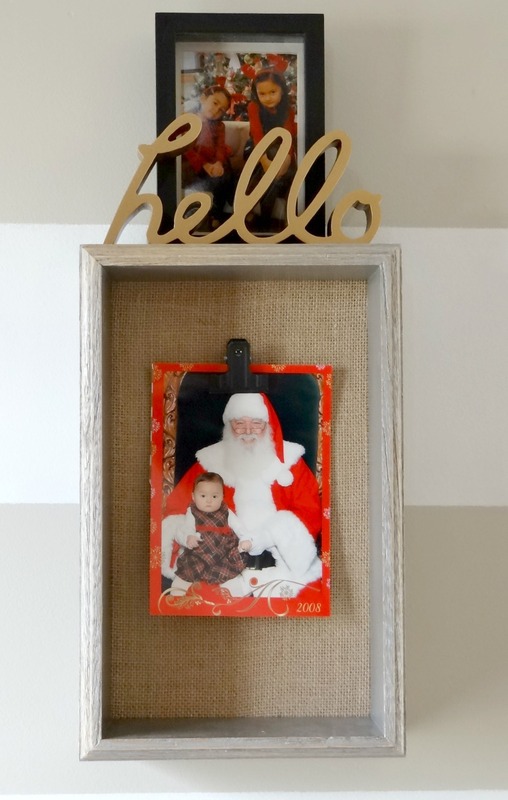 That tray is gorgeous and I totally agree…you can never have too many clocks (the non digital kind) in your home..unless your Captain Hook 😉 I hope you and your sweet family have a Merry Christmas! Thanks so much, Sydney! You’re too funny. I hope you have a wonderful holiday shared with friends & family! How fun, I love that clock. Very cute. 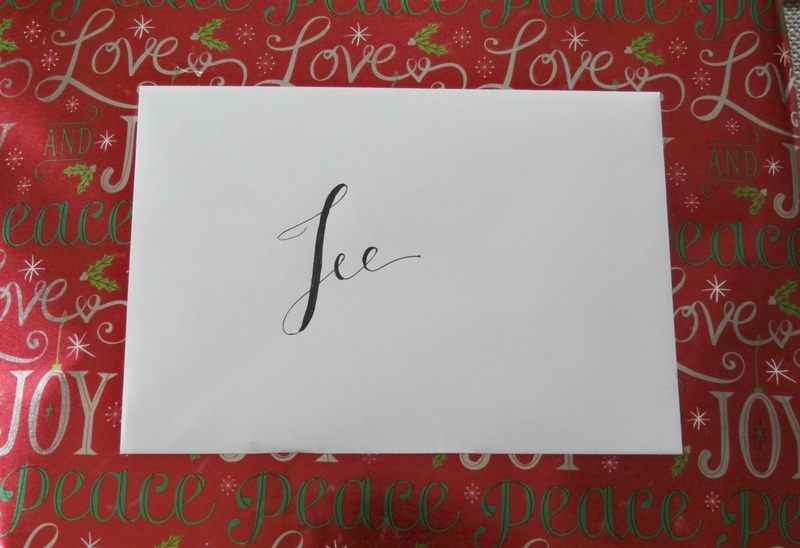 I hope you have a very Happy Holiday, Tee! Thanks so much, April. Have a wonderful holiday too. Thanks for stopping by!